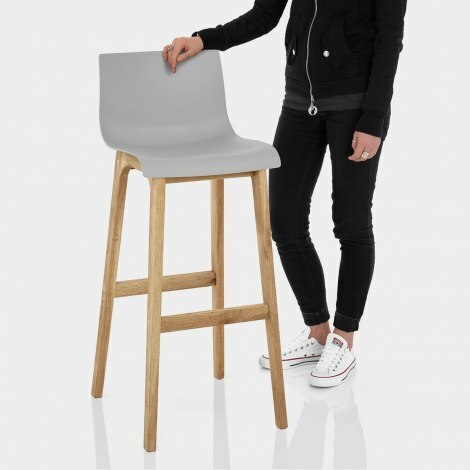 With its playful charm, the Drift Oak & Grey Bar Stool is a surefire way to completely modernise your home. Emanating simplistic beauty, the Drift combines modern shapes with organic textures to form an eye-catching piece that is sure to turn heads. 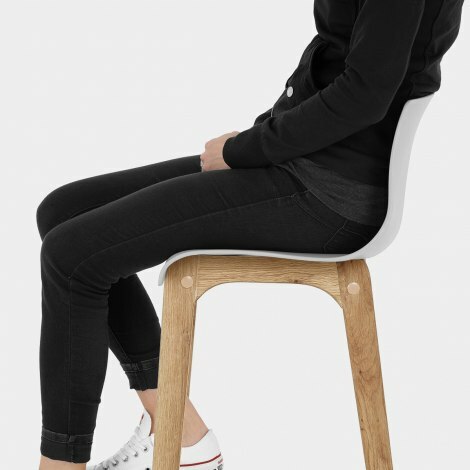 The curvaceous seat, formed of contemporary matt grey resin, brings a clean, Scandinavian aesthetic to any room. Sculpted to reflect the shape of your body, it features a medium backrest to help support your lower back. The frame is fixed at kitchen counter height, and has four legs formed of classic solid oak, joined with bracing bars that form the perfect footrest. 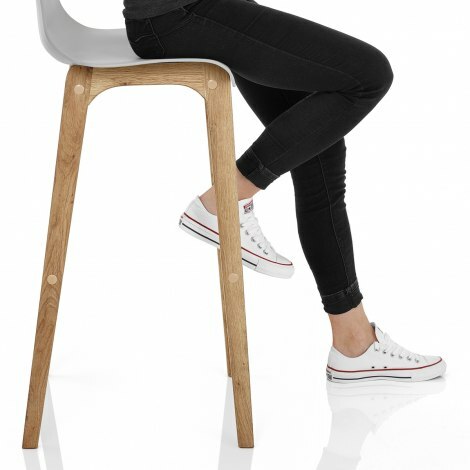 "Gorgeous stools easy to put together"
Good quality, will fit in a small space and look great. Also great service - I originally ordered in red but it was the wrong shade and it was easy to arrange a return and a re-ordered in grey. Well priced, good looking, comfortable and easy to assemble. Perfect for our new kitchen. Just the design we were looking for after a long search elsewhere. Order and delivery very efficient and assembly instructions clear. We are delighted with our chairs, they look great and are really sturdy. Perfect height for our counter top height breakfast bar and the delivery was super quick. Very pleased would highly recommend. We ordered 4 of these breakfast bar stools and they arrived the next day. They were really easy to put together & look great in our new kitchen. They are comfy & very sturdy. I would recommend these stools.